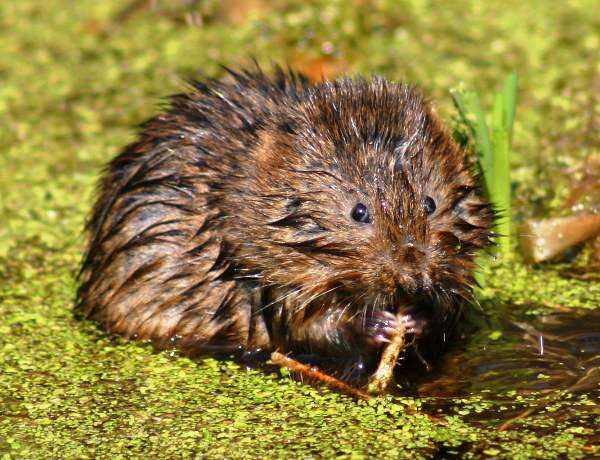 Water Voles, also sometimes referred to as water rats, inhabit rivers, streams and canals and are the largest vole species found in the British Isles; they can weigh up to 350 gm. A Water Vole's ears are more rounded and it has a blunter nose than a rat. Another distinguishing feature is its furry tail; the rat has a scaly, almost furless tail. 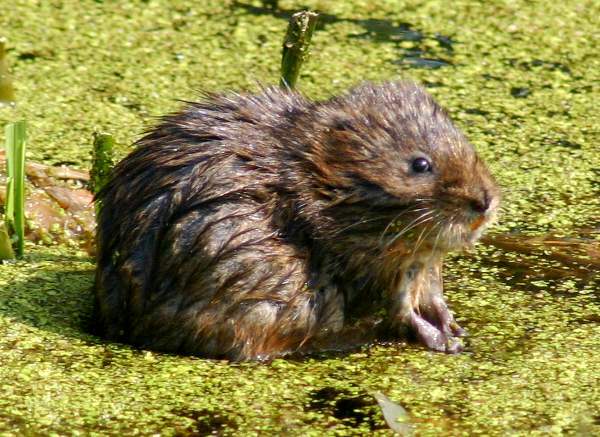 Ratty, of Wind in the Willows fame, was really a Water Vole. Once these delightful creatures were plentiful in Britain, but in recent years Water Vole numbers have declined considerably. Habitat loss and predation by Mink are thought to have been key factors in this decline, and a few years ago The Vincent Wildlife Trust predicted that Water Voles would extinct from England and Wales within a few years if nothing was done to prevent it. Something is being done, thank goodness. Conservation and habitat restoration work is going on, as part of the National Biodiversity Action Plan, to protect these splendid little rodents. The Environment Agency is the Lead Partner in this work. 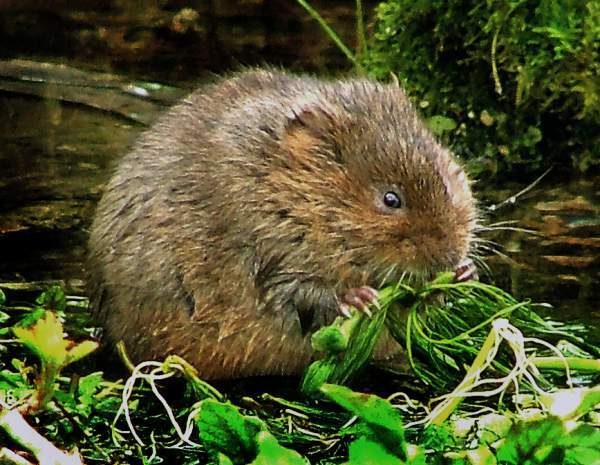 Water Voles are vegetarians and they eat grasses, flowering plants (including Ranunculus species - see top picture) and other in-stream and marginal vegetation. This page includes pictures kindly contributed by Will Bown and Mark Ingham.